Body mass index (BMI) is calculated as weight in kilograms divided by height in meters squared. Hazard ratios (HRs) were adjusted for attained age, cohort, year of birth, age at menarche, age at first birth, number of births, time since last birth, and family history of breast cancer. aRepresents linear trend per 5 kg/m2 (5.0-U) difference in BMI from 18.5 to 49.9. Body mass index (BMI) is calculated as weight in kilograms divided by height in meters squared. Hazard ratios (HRs) were adjusted for attained age, cohort, year of birth, age at menarche, age at first birth, number of births, time since last birth, and family history of breast cancer as well as BMI at ages 18 to 24 years. Body mass index (BMI) is calculated as weight in kilograms divided by height in meters squared. The luminal A–like subtype includes estrogen receptor (ER)–positive, progesterone receptor (PR)–positive, and ERBB2/HER2-negative tumors; luminal B–subtype, all ER-positive and/or PR-positive tumors that are not luminal A–like (subtypes luminal B–like ERBB2/HER2-negative and luminal B–like ERBB2/HER2-positive); and nonluminal subtype, all ER-negative and PR-negative tumors, regardless of ERBB2/HER2 status (subtypes ERBB2/HER2 enriched: ER-negative, PR-negative, and ERBB2/HER2-positive; triple-negative: ER-negative, PR-negative, and ERBB2/HER2-negative). aRepresents linear trend per 5.0-U of difference in BMI from 18.5 to 49.9 and are adjusted for attained age, cohort, year of birth, age at menarche, age at first birth, number of births, time since last birth, and family history of breast cancer. Estimates were obtained from 2 augmentation models.27 The first model included luminal A–like, luminal B–like, and nonluminal breast cancer as end points with tests for heterogeneity in effect by tumor type (for BMI at ages 18-24 years, P = .07; at ages 25-34 years, P = .002; at ages 35-44 years, P < .001; at ages 45-54, P < .001). Estimates for subtypes of luminal B–like and nonluminal breast cancer were obtained from a second model fitting luminal A–like, luminal B–like ERBB2/HER2-positive, luminal B–like ERBB2/HER2-negative, ERBB2/HER2-enriched, and triple-negative breast cancer as end points. Harrell F. Regression Modeling Strategies: With Applications to Linear Models, Logistic Regression, and Survival Analysis. New York, NY: Springer; 2001. StataCorp, ed. Stata Statistical Software: Release 14. College Station, Texas: StataCorp LP; 2015. Question What is the association between body mass index and risk for breast cancer diagnosed before menopause? Finding In this large pooled analysis of data on 758 592 premenopausal women, an inverse association of breast cancer risk with body mass index at 18 through 54 years of age was found, most strongly for body mass index at ages 18 through 24 years. The inverse association was strongest for hormone receptor–positive breast cancer, was evident across the entire distribution of body mass index, and did not materially vary by attained age or other characteristics of women. Meaning Increased adiposity, in particular during early adulthood, may be associated with reductions in the risk of premenopausal breast cancer. Importance The association between increasing body mass index (BMI; calculated as weight in kilograms divided by height in meters squared) and risk of breast cancer is unique in cancer epidemiology in that a crossover effect exists, with risk reduction before and risk increase after menopause. The inverse association with premenopausal breast cancer risk is poorly characterized but might be important in the understanding of breast cancer causation. Objective To investigate the association of BMI with premenopausal breast cancer risk, in particular by age at BMI, attained age, risk factors for breast cancer, and tumor characteristics. Design, Setting, and Participants This multicenter analysis used pooled individual-level data from 758 592 premenopausal women from 19 prospective cohorts to estimate hazard ratios (HRs) of premenopausal breast cancer in association with BMI from ages 18 through 54 years using Cox proportional hazards regression analysis. Median follow-up was 9.3 years (interquartile range, 4.9-13.5 years) per participant, with 13 082 incident cases of breast cancer. Participants were recruited from January 1, 1963, through December 31, 2013, and data were analyzed from September 1, 2013, through December 31, 2017. Exposures Body mass index at ages 18 to 24, 25 to 34, 35 to 44, and 45 to 54 years. Main Outcomes and Measures Invasive or in situ premenopausal breast cancer. Results Among the 758 592 premenopausal women (median age, 40.6 years; interquartile range, 35.2-45.5 years) included in the analysis, inverse linear associations of BMI with breast cancer risk were found that were stronger for BMI at ages 18 to 24 years (HR per 5 kg/m2 [5.0-U] difference, 0.77; 95% CI, 0.73-0.80) than for BMI at ages 45 to 54 years (HR per 5.0-U difference, 0.88; 95% CI, 0.86-0.91). The inverse associations were observed even among nonoverweight women. There was a 4.2-fold risk gradient between the highest and lowest BMI categories (BMI≥35.0 vs <17.0) at ages 18 to 24 years (HR, 0.24; 95% CI, 0.14-0.40). Hazard ratios did not appreciably vary by attained age or between strata of other breast cancer risk factors. Associations were stronger for estrogen receptor–positive and/or progesterone receptor–positive than for hormone receptor–negative breast cancer for BMI at every age group (eg, for BMI at age 18 to 24 years: HR per 5.0-U difference for estrogen receptor–positive and progesterone receptor–positive tumors, 0.76 [95% CI, 0.70-0.81] vs hormone receptor–negative tumors, 0.85 [95% CI: 0.76-0.95]); BMI at ages 25 to 54 years was not consistently associated with triple-negative or hormone receptor–negative breast cancer overall. Conclusions and Relevance The results of this study suggest that increased adiposity is associated with a reduced risk of premenopausal breast cancer at a greater magnitude than previously shown and across the entire distribution of BMI. The strongest associations of risk were observed for BMI in early adulthood. Understanding the biological mechanisms underlying these associations could have important preventive potential. Breast cancer is the most commonly diagnosed cancer among women worldwide, accounting for 25% of female cancer cases at all ages and a greater percentage among young women.1 Its complex etiology involves an unusually large range of factors, of which adiposity, often assessed as body mass index (BMI; calculated as weight in kilograms divided by height in meters squared), is important and appears to have opposing effects at premenopausal and postmenopausal ages. Increased adiposity in childhood and before menopause has been reported to be inversely associated with the risk of breast cancer diagnosed at premenopausal and postmenopausal ages, whereas increased adiposity after menopause is positively associated with risk.2-11 However, because incidence rates are lower among premenopausal than postmenopausal women, individual studies have had limited ability to investigate the association of BMI with the risk of premenopausal breast cancer. Past studies have been case-control studies, with potential for bias, and most prospective studies have had modest numbers of cases, except for some recent studies in Asian12,13 or Jewish Israeli14 populations, but have not assessed risk at different ages, by tumor type, and by menopausal status at breast cancer diagnosis. 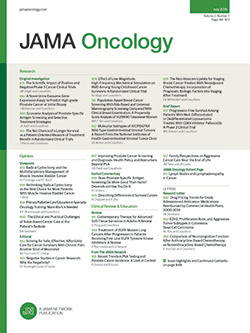 Meta-analyses have aggregated studies that differed in age at BMI assessment, attained age of participants, and degree of adjustment for potential confounding, and results were not stratified by other risk factors.2-5,15-18 Some studies suggest that the association of premenopausal adiposity with risk varies by tumor characteristics,2,7,17-19 but larger studies are needed to provide stable estimates by hormone receptor status or intrinsic tumor subtype. To undertake a more powerful and systematic analysis of the association of BMI with breast cancer risk in premenopausal women, we pooled individual-level data from 758 592 women, including 13 082 cases of breast cancer, from 19 prospective cohort studies using data from recruitment and follow-up questionnaires. We aimed to estimate the relative risk associated with BMI at different ages, age at breast cancer diagnosis, and breast cancer characteristics and to explore whether associations were modified by other risk factors for breast cancer. Information on the Premenopausal Breast Cancer Collaborative Group, a collaboration facilitated by the National Cancer Institute Cohort Consortium, has been published previously.20 In short, individual-level data were pooled from 19 prospective cohorts in North America (n = 9), Europe (n = 7), Asia (n = 2), and Australia (n = 1),20 with participants recruited from January 1, 1963, through December 31, 2013 and at least 100 breast cancer cases diagnosed before 55 years of age. Data were harmonized to a common template for 1 to 16 questionnaire rounds per study. Full details of the study cohorts are given in the eMethods in the Supplement. All contributing studies gained approval from institutional review boards and obtained consent from participants as per country-specific requirements. We used information on self-reported or measured current weight and height from multiple questionnaire rounds and information reported on questionnaires about weight at ages before study entry to construct BMI within the age ranges of 18 to 24, 25 to 34, 35 to 44, and 45 to 54 years. We categorized BMI according to World Health Organization definitions.21 The analysis included all participants who were premenopausal, had no personal history of breast cancer at study entry, and had data for premenopausal BMI available. All breast cancers included in this analysis occurred before menopause, with the main analytic end point being invasive or in situ premenopausal breast cancer overall. However, we also analyzed separately by invasive and in situ cancer, by immunohistochemistry data on estrogen receptor (ER) and progesterone receptor (PR) status, and by clinicopathologic surrogate definitions of intrinsic breast cancer subtype. Hazard ratios (HRs) were obtained as estimates of the relative risk of breast cancer from Cox proportional hazards regression models22 with attained age as the underlying timescale. Follow-up for breast cancer started at study entry or the age after enrollment to which the BMI applied. Follow-up ended at breast cancer diagnosis, menopause (or hysterectomy), last follow-up, death, or age 55 years, whichever occurred first. We first generated cohort-specific relative risk estimates and obtained a pooled estimate with a 2-stage model.23 Because no appreciable between-study heterogeneity was detected using the I2 statistic,24 the data were analyzed in a pooled data set. All presented analyses were adjusted for attained age (implicit in the Cox proportional hazards regression model), cohort, year of birth, age at menarche, age at first birth, time since last birth, parity, and family history of breast cancer. Covariate information was time updated, when possible, with information from follow-up questionnaires. The analyses included 758 592 women (median age, 40.6 years; interquartile range, 35.2-45.5 years), among whom 13 082 in situ or invasive breast cancer cases occurred during 7.2 million premenopausal years of follow-up (median, 9.3 years; interquartile range, 4.9-13.5 years) (eTable 1 in the Supplement). Weight was provided at 1 to 14 (median, 2) follow-up rounds per study and was self-reported for 88.9% to 99.6% of weights, depending on age. Weight at ages 18 to 24 years was retrospectively reported for 96.9% and at later ages for less than 10% of women. Obesity (BMI≥30.0) was more common in women who were 45 years or older (11.1%), were nulliparous (12.4%), had an early menarche (17.0%), had a family history of breast cancer (12.8%), or were black (26.8%) (Table). Increasing BMI was linearly associated with decreasing risk of breast cancer in the restricted cubic spline models (eFigures 1 and 2 in the Supplement), except that, for some ages and tumor types, there appeared to be a leveling of risk for underweight women (BMI<18.5) compared with those in the normal weight range (BMI, 18.5-24.9). We therefore restricted the linear modeling of BMI to values of 18.5 or greater. Hazard ratios for breast cancer decreased with increasing BMI category (Figure 1), more for BMI at younger than older ages, with a risk reduction of 23% per 5.0-U difference (HR, 0.77; 95% CI, 0.73-0.80) for BMI at ages 18 to 24 years and 12% (HR, 0.88; 95% CI, 0.86-0.91) for BMI at 45 to 54 years. The risk gradient was 4.2-fold between the highest and lowest BMI categories (BMI≥35.0 vs <17.0) at ages 18 to 24 years (HR, 0.24; 95% CI, 0.14-0.40). Significant differences in relative risk were present even within the normal range of BMI (for 23.0-24.9 vs 18.5-22.9: HR, 0.80; 95% CI, 0.75-0.86). The HRs for BMI at ages 18 to 24 years remained statistically significant after additional adjustment for most recent BMI (HR per 5.0-U increase, 0.80; 95% CI, 0.76-0.84). We found no appreciable heterogeneity in the association between studies (eFigure 3A-D in the Supplement). Weight at ages 18 to 24 years was correlated with weights at older ages (r = 0.70 for ages 25-34, r = 0.63 for ages 35-44, and r = 0.55 for ages 45-54 years). When we adjusted the analyses of breast cancer risk in Figure 2 for BMI at ages 18 to 24 years, the HRs per 5.0-U increase were 0.92 (95% CI, 0.88-0.97) for BMI at ages 25 to 34 years, 0.93 (95% CI, 0.91-0.96) at ages 35 to 44 years, and 0.91 (95% CI, 0.88-0.95) at ages 45 to 54 years (Figure 2 and eTable 2 in the Supplement). The magnitude of the inverse associations was similar between categories of attained age to age 55 years (eFigure 4 in the Supplement). Incident cases of breast cancer included 10 836 invasive and 2138 in situ breast cancers. Associations with risk per 5.0-U difference in BMI were significantly larger for in situ (HR, 0.76; 95% CI, 0.69-0.85) than for invasive breast cancer (HR, 0.88; 95% CI, 0.84-0.92) (P = .02 for interaction) for BMI at ages 25 to 34 years; difference in associations were also found for in situ (HR, 0.81; 95% CI, 0.76-0.86) and invasive breast cancer (HR, 0.88; 95% CI, 0.86-0.90; P = .01 for interaction) at 35 to 44 years (eTable 3 in the Supplement). The percentage of all breast cancers that were in situ did not appreciably vary by BMI, and women with higher BMI were more likely to have had a screening mammogram (eTable 4 in the Supplement). The ER and/or PR status was known for 7812 cases, 7002 (89.6%) of which were invasive. We did not observe consistent significant differences in HRs for ER-positive vs ER-negative or PR-positive vs PR-negative breast cancer (eTable 5 in the Supplement). When considering ER and PR jointly, ER-positive and/or PR-positive breast cancer showed stronger associations with BMI at ages 18 to 24 years (eg, for ER-positive and PR-positive, HR, 0.75; 95% CI, 0.70-0.81) than did hormone receptor–negative breast cancer; however, the association was still significant for ER-negative and PR-negative breast cancer (HR, 0.85; 95% CI, 0.76-0.95) (eFigure 5 in the Supplement). Body mass index at older ages was not associated with hormone receptor–negative breast cancer risk. In analyses by intrinsic breast cancer subtype (Figure 3), the nonluminal (ER-negative and PR-negative) subtype was inversely associated with BMI at ages 18 to 24 (HR, 0.86; 95% CI, 0.77-0.96) and 45 to 54 years (HR, 0.90; 95% CI, 0.84-0.98), but not with BMI at ages 25 to 34 and 35 to 44 years. No association of BMI at 25 years or older with triple-negative breast cancer or of BMI at 35 years or older with ERBB2/HER2-enriched breast cancer was found. Hazard ratios per 5.0-U difference in BMI were not significantly different between strata of most risk factors for breast cancer, including race/ethnicity (for BMI at ages 18 to 24 years: HR for black women, 0.84 [95% CI, 0.76-0.93]; HR for Asian women, 0.69 [95% CI, 0.40-1.18]; and HR for white women, 0.73 [95% CI, 0.70-0.77]; P = .08 for interaction) (eFigure 6 and eTable 6 in the Supplement). Hazard ratios were greater for never users compared with than ever users of oral contraceptives (at baseline for most studies) for BMI at ages 18 to 24 years (HR, 0.68 [95% CI, 0.61-0.76] vs 0.79 [95% CI, 0.75-0.83]; P = .02 for interaction) and ages 35 to 44 (HR, 0.81 [95% CI, 0.77-0.86] vs 0.88 [95% CI, 0.86-0.91]; P = .009 for interaction). The HR was also greater for nulliparous than parous women (HR, 0.79 [95% CI, 0.73-0.87] vs 0.88 [95% CI, 0.84-0.93]; P = .03 for interaction) for BMI at ages 25 to 34 years. Results were not materially affected in the sensitivity analyses (eTables 7-9 in the Supplement) except for those shown in Figure 1. In this large prospective analysis investigating the association between adiposity and breast cancer risk in premenopausal women, we analyzed relative risk by BMI in a larger number of categories than possible in previous studies, revealing a 4.2-fold risk gradient between women who were underweight vs obese at ages 18 to 24 years and a 1.9- to 2.5-fold risk gradient between these BMI categories at later ages. We demonstrated that the inverse associations apply to the entire distribution of BMI, with risk variations evident even among women in the nonoverweight range of BMI. The observed inverse associations are unlikely to be attributable to bias, given that they were present in multiple studies and across strata of birth cohort and risk factors for breast cancer. Too few women died during follow-up (3.3% of women with a BMI≥35.0 vs 1.7% with BMI of 18.5-24.9) to explain the inverse associations for death as a competing risk. Our results are also supported as causal rather than artifactual by a mendelian randomization study29 reporting genetically predicted BMI to be inversely associated with breast cancer risk. The stronger inverse associations of risk with BMI at younger than older ages suggest that adiposity in young adulthood or earlier, if adiposity at approximately 20 years of age is a proxy marker for adiposity in childhood, is the critical factor. No cohorts in our collaboration had information on BMI at younger than 18 years, but published analyses of subjective body size compared with peers at these ages7-9 have found strong inverse associations with premenopausal and postmenopausal breast cancer risk. Our estimated 12% to 23% reduction in premenopausal breast cancer risk per 5.0-U difference in BMI depending on age is substantially stronger than that from meta-analyses,3-5,15,16 which have reported 5% to 9% reductions among women overall without analysis by age at BMI, and a study reporting a 10% reduction using measured BMI at ages 16 to 19 years.14 We observed that associations of BMI and breast cancer risk did not depend on attained age. We found no previous analyses by premenopausal attained age, but risk reductions with increased early-life BMI have been reported to continue after menopause.7,8 The associations of BMI with risk also did not appear to be appreciably modified by risk factors for breast cancer later in life, with the possible exception of nulliparity and oral contraceptive use. The stronger associations of BMI at ages 25 to 44 years for in situ than for invasive breast cancer might reflect type-specific etiology or the association for in situ cancer being in part attributable to an association of body size with breast screening attendance. However, we found no evidence for this association, given that percentages of in situ cancer were similar across BMI groups. No previous analyses of hormone receptor status–specific breast cancer by BMI assessed at different premenopausal ages have been performed, to our knowledge. We found that hormone receptor–positive breast cancer was associated with BMI at all ages and that hormone receptor–negative breast cancer overall was associated with BMI at ages 18 to 24 years, but not consistently associated with BMI at later ages; meta-analyses of ER- and PR-negative tumors15,17 have found no association, based on age at recruitment. The absence of an association of triple-negative breast cancer with BMI at 25 years or older in our analysis is contrary to previous reports18,19 indicating an increased risk of this tumor type with obesity; however, these reports were based on case-control studies18 and a pooled analysis of women younger than 50 years based on studies of mixed design19 and therefore are subject to potential biases that are of less concern in prospective cohorts. We observed that ERBB2/HER2-enriched breast cancer was associated with BMI at 35 years or younger but not at later ages; the Nurses’ Health Study, included in this analysis, previously reported a strong association with BMI at 18 years of age,7 but we are not aware of studies investigating the association with later premenopausal ages. The strengths of this collaboration are its large number of cases, providing precise estimates of relative risk by age at adiposity and allowing for stratified and breast cancer subtype–specific analyses. All contributing studies were prospective, and most had multiple follow-up rounds, facilitating determination of menopausal status and time-updated covariate information. The results of our study suggest that increased BMI is inversely associated with the risk of breast cancer diagnosis before menopause, to a greater magnitude than suggested in previous analyses, and with the strongest associations for BMI at young ages. The association with BMI in early adulthood is universal across strata of other risk factors and across breast cancer subtypes. Understanding the biological mechanism underlying this association could have important implications for breast cancer prevention. Corresponding Author: Minouk J. Schoemaker, PhD, Division of Genetics and Epidemiology, The Institute of Cancer Research, 15 Cotswold Rd, London SM2 5NG, United Kingdom (minouk@icr.ac.uk). Accepted for Publication: March 30, 2018. Open Access: This is an open access article distributed under the terms of the CC-BY License. © 2018 The Premenopausal Breast Cancer Collaborative Group. JAMA Oncology. The Premenopausal Breast Cancer Collaborative Group Authors: Minouk J. Schoemaker, PhD; Hazel B. Nichols, PhD; Lauren B. Wright, MSc; Mark N. Brook, PhD; Michael E. Jones, PhD; Katie M. O’Brien, PhD; Hans-Olov Adami, MD, PhD; Laura Baglietto, PhD; Leslie Bernstein, PhD; Kimberly A. Bertrand, ScD; Marie-Christine Boutron-Ruault, MD, PhD; Tonje Braaten, PhD; Yu Chen, MPH, PhD; Avonne E. Connor, PhD; Miren Dorronsoro, MD; Laure Dossus, PhD; A. Heather Eliassen, ScD; Graham G. Giles, PhD; Susan E. Hankinson, ScD; Rudolf Kaaks, PhD; Timothy J. Key, DPhil; Victoria A. Kirsh, PhD; Cari M. Kitahara, PhD; Woon-Puay Koh, PhD; Susanna C. Larsson, PhD; Martha S. Linet, MD; Huiyan Ma, PhD; Giovanna Masala, MD; Melissa A. Merritt, PhD; Roger L. Milne, PhD; Kim Overvad, PhD; Kotaro Ozasa, MD, PhD; Julie R. Palmer, ScD; Petra H. Peeters, MD, PhD; Elio Riboli, MD; Thomas E. Rohan, MBBS, DHSc; Atsuko Sadakane, MD, PhD; Malin Sund, MD, PhD; Rulla M. Tamimi, ScD; Antonia Trichopoulou, MD, PhD; Giske Ursin, MD, PhD; Lars Vatten, MD, PhD; Kala Visvanathan, MD; Elisabete Weiderpass, MD, PhD; Walter C. Willett, MD, DrPH; Alicja Wolk, DrMedSc, PhD; Jian-Min Yuan, MD, PhD; Anne Zeleniuch-Jacquotte, MD, MS; Dale P. Sandler, PhD; Anthony J. Swerdlow, DM, DSc. Affiliations of The Premenopausal Breast Cancer Collaborative Group Authors: Division of Genetics and Epidemiology, The Institute of Cancer Research, London, United Kingdom (Schoemaker, Wright, Brook, Jones, Swerdlow); Department of Epidemiology, University of North Carolina Gillings School of Global Public Health, Chapel Hill (Nichols); Biostatistics and Computational Biology Branch, National Institute of Environmental Health Sciences, National Institutes of Health, Durham, North Carolina (O’Brien); Department of Medical Epidemiology and Biostatistics, Karolinska Institutet, Stockholm, Sweden (Adami, Weiderpass); Department of Epidemiology, Harvard T. H. Chan School of Public Health, Boston, Massachusetts (Adami, Eliassen, Tamimi); Department of Clinical and Experimental Medicine, University of Pisa, Pisa, Italy (Baglietto); Department of Population Sciences, Beckman Research Institute of City of Hope, Duarte, California (Bernstein, Ma); Slone Epidemiology Center at Boston University, Boston, Massachusetts (Bertrand, Palmer); Institut National de la Santé et de la Recherche Medicale U1018, Institut Gustave Roussy, Centre d’Etude des Supports de Publicité, Université Paris-Saclay, Université Paris-Sud, and Université Versailles Saint-Quentin, Paris, France (Boutron-Ruault); Department of Community Medicine, Faculty of Health Sciences, University of Tromsø, The Arctic University of Norway, Tromsø (Braaten, Weiderpass); Department of Population Health and Perlmutter Cancer Center, New York University School of Medicine, New York City, New York (Chen, Zeleniuch-Jacquotte); Department of Epidemiology, Johns Hopkins Bloomberg School of Public Health, Baltimore, Maryland (Connor, Visvanathan); Public Health Direction and Biodonostia Research Institute and Centro de Investigación Biomédica en Red de Epidemiología y Salud Pública, Basque Regional Health Department, San Sebastian, Spain (Dorronsoro); Nutrition and Metabolism Section, International Agency for Research on Cancer, Lyon, France (Dossus); Channing Division of Network Medicine, Department of Medicine, Brigham and Women’s Hospital, Harvard Medical School, Boston, Massachusetts (Eliassen, Tamimi, Willett); Cancer Epidemiology and Intelligence Division, Cancer Council Victoria, Melbourne, Victoria, Australia (Giles, Milne); Centre for Epidemiology and Biostatistics, School of Population and Global Health, University of Melbourne, Melbourne, Victoria, Australia (Giles, Milne); Department of Biostatistics and Epidemiology, School of Public Health and Health Sciences, University of Massachusetts, Amherst (Hankinson); Division of Cancer Epidemiology, German Cancer Research Center, Heidelberg, Germany (Kaaks); Nuffield Department of Population Health, University of Oxford, Oxford, England (Key); Dalla Lana School of Public Health, University of Toronto, Toronto, Ontario, Canada (Kirsh); Radiation Epidemiology Branch, Division of Cancer Epidemiology and Genetics, National Cancer Institute, Bethesda, Maryland (Kitahara, Linet); Health Services and Systems Research, Duke-NUS (National University of Singapore) Medical School, Singapore (Koh); Nutrional Epidemiology Unit, Karolinska Institutet, Institute of Environmental Medicine, Stockholm, Sweden (Larsson, Wolk); Cancer Risk Factors and Life-Style Epidemiology Unit, Cancer Research and Prevention Institute, Florence, Italy (Masala); School of Public Health, Imperial College, London, England (Merritt, Riboli); Department of Public Health, Section for Epidemiology, Aarhus University, Aarhus, Denmark (Overvad); Radiation Effects Research Foundation, Hiroshima, Japan (Ozasa, Sadakane); University Medical Center, Utrecht University, Utrecht, the Netherlands (Peeters); Department of Epidemiology and Population Health, Albert Einstein College of Medicine, Bronx, New York (Rohan); Department of Surgical and Perioperative Sciences, Umeå University, Umeå, Sweden (Sund); Hellenic Health Foundation, Athens, Greece (Trichopoulou); Cancer Registry of Norway, Institute of Population-Based Cancer Research, Oslo (Ursin, Weiderpass); Institute of Basic Medical Sciences, University of Oslo, Oslo, Norway (Ursin); Department of Preventive Medicine, University of Southern California, Los Angeles (Ursin); Department of Public Health, Norwegian University of Science and Technology, Trondheim (Vatten); Genetic Epidemiology Group, Folkhälsan Research Center, Faculty of Medicine, University of Helsinki, Helsinki, Finland (Weiderpass); Department of Nutrition, Harvard T. H. Chan School of Public Health, Boston, Massachusetts (Willett); University of Pittsburgh Graduate School of Public Health and UPMC Hillman Cancer Center, Pittsburgh, Pennsylvania (Yuan); Epidemiology Branch, National Institute of Environmental Health Sciences, National Institutes of Health, Durham, North Carolina (Sandler); Division of Breast Cancer Research, The Institute of Cancer Research, London, England (Swerdlow). Author Contributions: Drs Schoemaker and Nichols had full access to all the data in the study and take responsibility for the integrity of the data and accuracy of the data analysis. Drs Schoemaker and Nichols are co-first authors and Dr Sandler and Mr Swerdlow co-senior authors because they contributed equally. Study concept and design: Connor, Jones, Larsson, Nichols, Overvad, Sandler, Schoemaker, Swerdlow, Trichopoulou, Weiderpass, Willett, Wolk, Wright. Acquisition, analysis, or interpretation of data: Adami, Baglietto, Bernstein, Bertrand, Boutron-Ruault, Braaten, Brook, Chen, Dorronsoro, Dossus, Eliassen, Giles, Hankinson, Jones, Kaaks, Key, Kirsh, Kitahara, Koh, Linet, Ma, Masala, Merrit, Milne, Nichols, O’Brien, Overvad, Ozasa, Palmer, Peeters, Riboli, Rohan, Sadakane, Sandler, Schoemaker, Sund, Swerdlow, Tamimi, Ursin, Vatten, Visvanathan, Weiderpass, Willett, Wolk, Wright, Yuan, Zeleniuch-Jacquotte. Drafting of the manuscript: Nichols, Sandler, Schoemaker, Swerdlow, Wright. Statistical analysis: Brook, Jones, Nichols, Schoemaker, Wright. Obtained funding: Key, Nichols, Overvad, Palmer, Sandler, Swerdlow, Tamimi, Vatten, Willet, Wolk, Yuan. Administrative, technical, or material support: Baglietto, Bertrand, Brook, Dossus, Eliassen, Giles, Jones, Kirsh, Koh, Linet, Ma, Masala, Merritt, Nichols, Overvad, Palmer, Peeters, Riboli, Sadakane, Sandler, Schoemaker, Sund, Tamimi, Trichopoulou, Vatten, Weiderpass, Willet, Wolk, Wright, Yuan. Study supervision: Nichols, Sandler, Schoemaker, Swerdlow. Funding/Support: This study was supported in part by Breast Cancer Now and the United Kingdom National Health Service funding to the Royal Marsden/Institute of Cancer Research National Institute for Health Research Biomedical Research Centre; The Institute of Cancer Research; grant 02-2014-080 from the Avon Foundation; grant KL2- TR001109 from the US National Center for Advancing Translational Sciences; Distinguished Professor Award 2368/10-221 from the Karolinska Institutet; grants R01CA144032 and R01UM182876 from the US National Institutes of Health (NIH); grants Z01 ES044005 and P30 ES000260 from the National Institute of Environmental Health Sciences, NIH; grants UM1 CA176726, UM1 CA186107, UM1 CA182876, UM1 CA182934, UM1 CA164974, R01 CA058420, R01 CA092447, CA077398, and CA144034 from the National Cancer Institute; the National Program of Cancer Registries of the Centers for Disease Control and Prevention; the US Department of Energy; The Dahod Breast Cancer Research Program at Boston University School of Medicine; the Maryland Cigarette Restitution Fund; grants 209057 and 396414 from VicHealth, Cancer Council Victoria, and the Australia National Health and Medical Research Council; grant BCRF-17-138 from the Breast Cancer Research Foundation; the Swedish Research Council and Swedish Cancer Foundation; the Japanese Ministry of Health, Labor and Welfare; and the Hellenic Health Foundation. The coordination of the European Prospective Investigation in Cancer is supported by the European Commission Health and Consumer Protection Directorate General and the International Agency for Research on Cancer. The national cohorts are supported by the Danish Cancer Society (Denmark); Ligue Contre le Cancer, Institut Gustave Roussy, Mutuelle Generale de l’Education Nationale, and Institut National de la Santé et de la Recherche Medicale (France); German Cancer Aid, German Cancer Research Center, Federal Ministry of Education and Research, Deutsche Krebshilfe, Deutsches Krebsforschungszentrum, and Federal Ministry of Education and Research (Germany); the Hellenic Health Foundation (Greece); Associazione Italiana per la Ricerca sul Cancro-Italy and the National Research Council (Italy); Dutch Ministry of Public Health, Welfare and Sports, the Netherlands Cancer Registry, LK Research Funds, Dutch Prevention Funds, Dutch Zorg Onderzoek Nederland, World Cancer Research Fund, and Statistics Netherlands (the Netherlands); European Research Council grant 2009-AdG 232997, Nordforsk, and Nordic Centre of Excellence Program on Food, Nutrition and Health (Norway); Health Research Fund PI13/00061 to Granada, PI13/01162 to EPIC-Murcia, Regional Governments of Andalucía, Asturias, Basque Country, Murcia, and Navarra, Instituto de Salud Carlos III Redes Temáticas de Investigación Cooperativa en Salud, Spain (RD06/0020); the Swedish Cancer Society, Swedish Research Council, and County Councils of Skane and Västerbotten (Sweden); and grant 14136 to European Prospective Study into Cancer and Nutrition (EPIC)–Norfolk and grants C570/A16491 and C8221/A19170 to EPIC-Oxford from Cancer Research UK, and grant 1000143 to EPIC-Norfolk and MR/M012190/1 to EPIC-Oxford from the Medical Research Council (United Kingdom). Additional Contributions: The following contributed to acquisition, analysis, or interpretation of data: Kathleen M. McClain, MS, Craig McGowan, MS, and Jiawei Xu, BS, University of North Carolina, Chapel Hill; Melissa House, MS, WestStat Inc, City, Maryland; Mustapha Abubakar, MBBS, PhD, National Cancer Institute, Bethesda, Maryland; Niclas Håkansson, PhD, Karolinska Institute, Stockholm, Sweden; Jane Sullivan-Halley, BS, Beckman Research Institute of the City of Hope, Duarte, California; Allison Iwan, BS, and Diane Kampa, BS, University of Minnesota, Minneapolis; Siew-Hong Low, Saw Swee Hock School of Public Health, National University of Singapore; Jerry Reid, PHD, American Registry of Radiologic Technologists, St Paul, Minnesota; Renwei Wang, MD, MS, UPMC Hillman Cancer Center, University of Pittsburgh, Pittsburgh, Pennsylvania; and Jeffrey Yu, MPH, Slone Epidemiology Center at Boston University, Boston, Massachusetts. They received no compensation for their contributions other than their salaries. We thank all study participants, staff, and participating cancer registries, and we thank the National Cancer Institute Cohort Consortium for facilitating this collaboration.